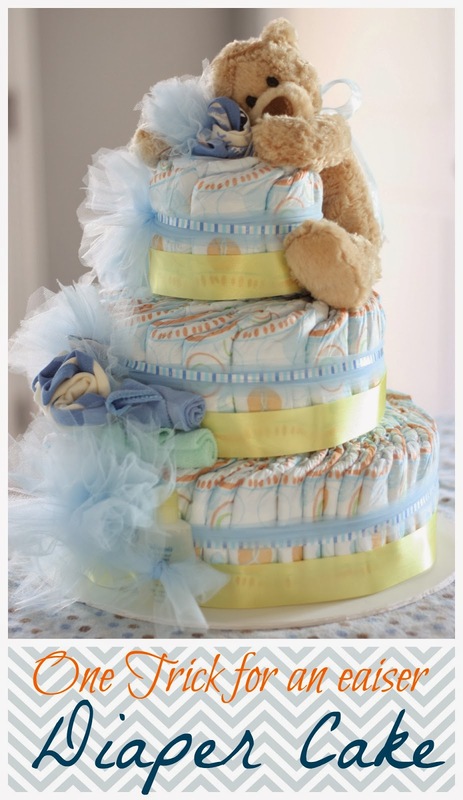 You've all seen those adorable diaper cakes on pinterest. Most all of them have one thing in common, individually rolled diapers. To save a lot of time, use the "swirled diaper" technique. Place the diapers in a circle. Then use your hand to help guide them into a swirled shape. 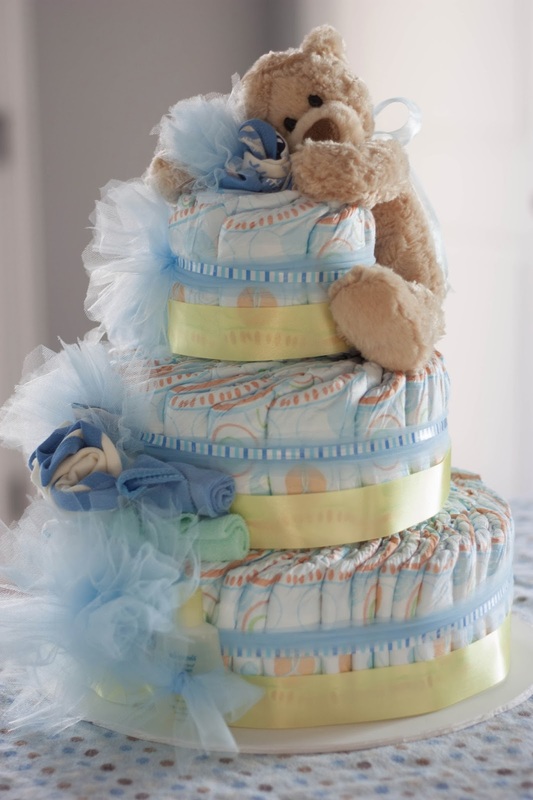 Use ribbon or tulle to cinch the diaper mass together. I've found this way to be a lot quicker than rolling each individual diaper. I also like the look of it as much or more than the rolled diapers. Another great tip: Use double-sided tape to stick the layers of "cake" together. I used an extra wide tape that was meant for holding rugs in place. I also used double-sided tape to adhere the bear into a cuddly position on the cake, it added the perfect finishing touch! This is the Most ADORABLE diaper cake I have EVER seen! You are right about the cuddly little bear being the finishing touch - it's like the frosting on the cake!